Writing and acting in films and television then took over much of Michael's life, culminating in the smash hit A Fish Called Wanda, in which he played the hapless, stuttering Ken (for which he won a BAFTA for Best Supporting Actor), and the first of his seven celebrated television journeys for the BBC. He wrote much of the dialogue and acted in Terry Gilliam's Time Bandits and acted in his next film, Brazil. He co-produced, wrote and played the lead in The Missionary opposite Maggie Smith, who also appeared with him in A Private Function, written by Alan Bennett. For television he wrote East of Ipswich, inspired by his links with Suffolk. With Terry Jones he updated an earlier volume modestly retitled Dr Flegg's Encyclopaedia of All World Knowledge. His family remains a constant as his and Helen's children enter their teens. The decade - and this volume - ends with the hugely successful Around the World in 80 Days, which sees the start of a new career. What made the experience of listening to Halfway To Hollywood the most enjoyable? 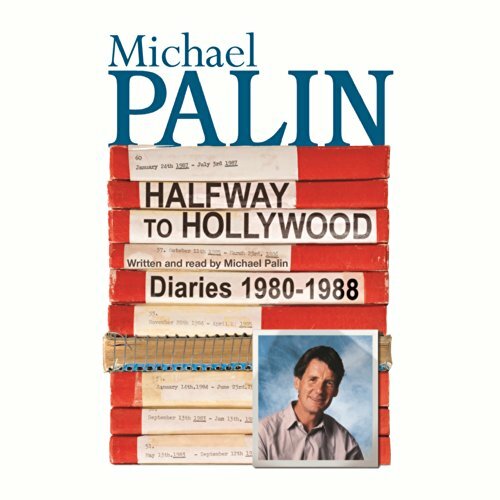 A really nice story of Michael Palin and his life for a short time trying to break into Hollywood. Although I never thought he was all that bothered about it. He seemed to be enjoying everything in England too much. Very moving when he mentions his sisters death. He has a very relaxed way of reading. No. I wanted to make it last. I was listening to it in the car. Like the previous reviewer, I couldn't stop listening to this. 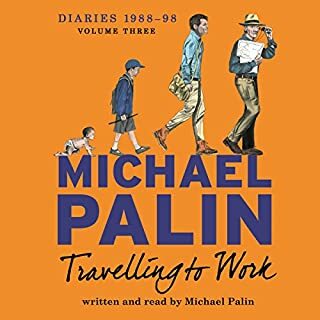 I listened to Volume 1 of Michael Palin's Diaries plus several other of his books and I find his narrative and his delivery excellent. Especially here. Very witty, very incisive. Plus, when Michael "imitates" the voices of the people he quotes, it's never overdone; always just the right amount. Well worth listening to. Roll on Volume 3. 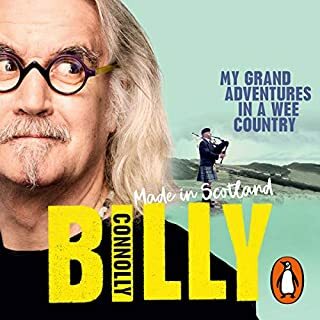 Rather than write word after word about how much I enjoyed this audiobook, I will just say that at every opportunity - be it going to bed a little earlier than usual, offering to wash up, allowing longer than usual bath times my children, or washing the car - I listened to this. 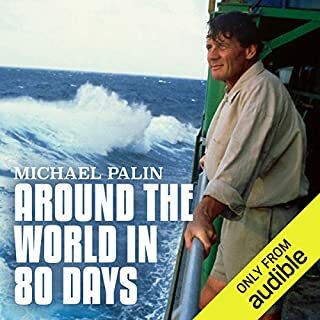 Funny at times, sad at times, but always leaving the listener wanting more, Michael Palin has yet to fail me with an book he has written. And although I've never seen Monty Python, his writing makes me think I'll enjoy it. Really can't wait for diary number 3. Riveting throughout. Insightful, funny, sad and sensitive. 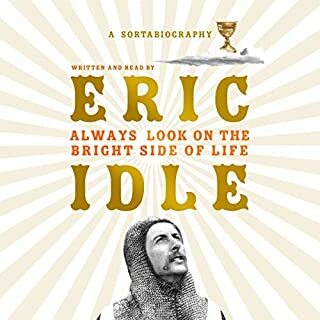 Anyone with an interest in writing, comedy or self reflection should read. 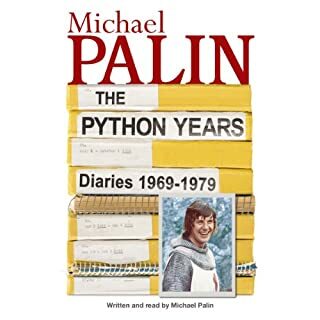 As usual, I lose track of all time listening to Micheal Palin's diaries. A great pace, insightful and linked to historical events of the 1980's. 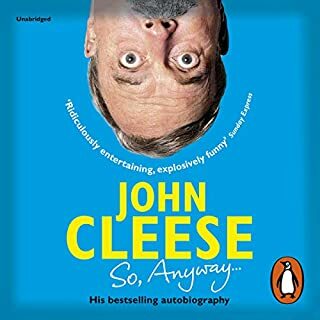 Very enjoyable, but without the insight that some of his other books offer. Probably not of much interest to anyone except for fans.